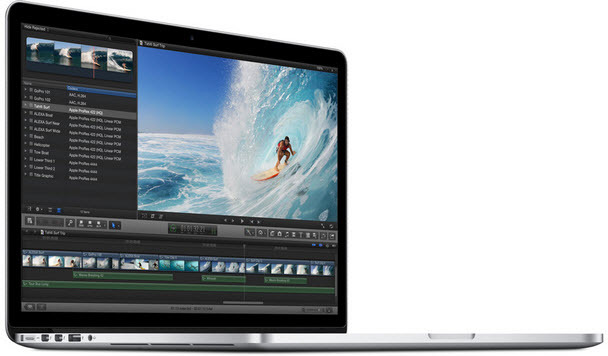 Apple has launched the new range of 13- inch and 15-inch Macbook Pro laptops in India. It brought the revamped product line to the country within a month of launch. These products are preloaded with Mac OS X Mavericks which is the latest version of Apple’s operating system. Packed with new features, this 13-inch MacBook Pro is priced at Rs 99,900. The features include better power, an amazing display, faster processor, SD-card slot and FireWire. Apple in regard with revenue has become the world’s second-largest IT Company and the third-largest mobile phone maker. Running on the new Intel Iris GPU and fourth-generation Intel Haswell chip, the 13-inch Macbook Pro offers 90% faster graphics than the predecessors. The stand by battery life is up to nine hours. It is also thinner and lighter, while the flash storage and Wi-Fi are faster as well. The device features dual-core Intel i5 processor with 2.4GHz and 2.6GHz clock speed. With options of 4GB and 8GB memory it is available in 512GB, 128GB and 256GB SSD versions. This device has two Thunderbolt 2 ports, one HDMI port which comes with a HD FaceTime camera for video conferencing and two USB 3.0 ports. The 13-inch Macbook Pro offers brilliant 2560×1600 Retina display, excellent backlit keyboard and perfect size for power and portability. It is one of the best looking notebooks available in the market today. There is no other 13-inch notebook that offers such excellent resolution. The color and contrast make it perfect. The thin and sleek design looks extremely cool. The device weighs only 3.57 lbs with the thickness of 0.75 inches. The keyboard is of chiclet style layout and doesn’t feel cramped on the 13-inch MacBook pro. The large glass touch pad which is 4.1×3-inches makes the navigation through applications and OS very intuitive. Wi-Fi has been boosted in this version. The latest 802.11ac Wi-Fi brings faster speed and can be accessed from a further distance. The streaming content can be used incredibly because the transfer speeds are now even faster. The latest OS offers some great new features, especially if you connect this device to multiple screens. With deeper use you will learn the overall improvements in Mavericks. Notice the free copies of numbers, pages and keynote along with the array of Apple software like Maps, iPhoto, iBooks, Mail, Safari and others. There have been bug fixes in Gmail as well. 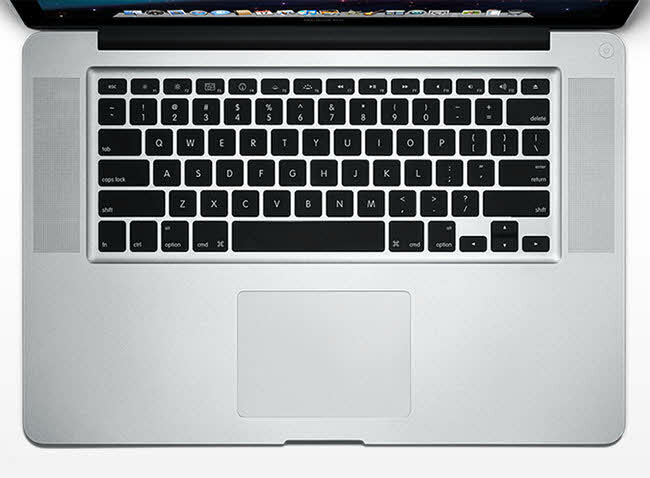 Specific issues like track pad and keyboard locking up in MacBook Pro have been fixed. Other major bugs have been fixed from the previous versions. The 13-inch MacBook pro offers great graphics on a superb Retina display. The brilliant battery life and wonderful design have earned our thumbs up. However there is a noticeable display lag and the apps which don’t support Retina look terrible on the screen. Nevertheless, Macbook Pro is Apple’s top laptop computer with many strengths. It has a fantastic build quality and design which is sure to turn some heads!